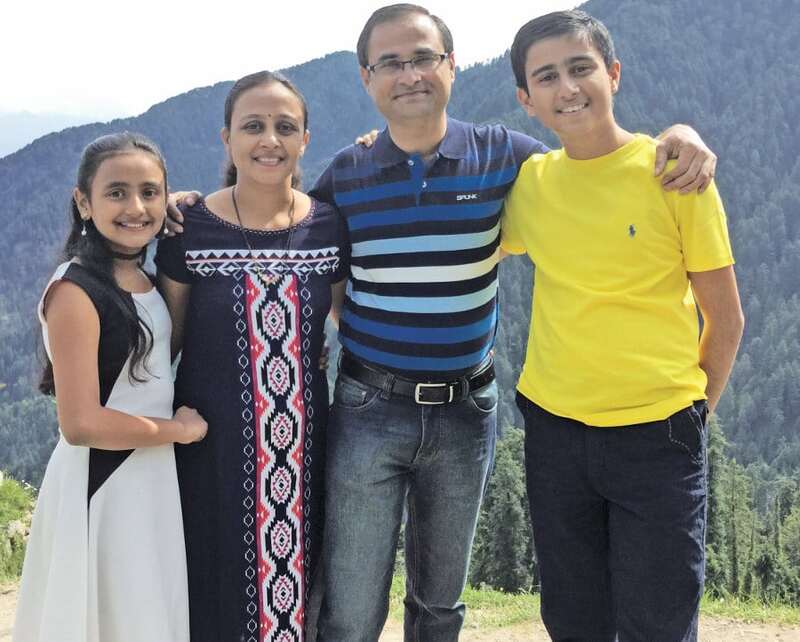 “Achievement comes from ordinary abilities applied with extraordinary persistence,” is the mantra that has brought Vijay Gujarathi, director and COO of EOS Power India Private Limited, a long way and helped him become a successful entrepreneur. In a lively conversation with Baishakhi Dutta, business journalist for Electronics Bazaar, he shares his exhilarating 25-year journey in the industry. Favourite book: ‘Gung Ho’ by Ken Blanchard. This book was gifted to me by the operations manager of Jabil Circuits, as well as to all of his managers back in 2007. This impacted my working style a lot. ‘The Spirit of the Squirrel’, ‘The Way of the Beaver’ and ‘The Gift of the Goose’—these three cornerstones of Gung Ho are a must-read for leaders who face organisational crises. I was born and brought up in a middle class family at Shirpur, Maharashtra. We lived a simple life. At that time, my father worked with the state government’s soil conservation department and used to get transferred every couple of years, across Maharashtra. My mother was a housewife. I was the third child, among my three brothers and a sister. Though fun, fights and pranks were part of my childhood and growing up years. I was quiet and shy as a child. On account of my father’s constant transfers, I studied in various parts of Maharashtra. I completed my matriculation from HGS School in 1988 from Nandurbar district. Due to certain economic conditions, higher education was not my sole objective when I completed matriculation. However, I got admitted to the Government Polytechnic College in Dhulia, in the mechanical engineering stream. In 1991, I passed out and got my first job in Mumbai. Somehow, my hunger for education never abated. While I was working, I got interested in design engineering and did a two-year course in plastics and sheet metal tool design course in an engineering college in Mumbai, and passed out with flying colours in 1997. After that, I also completed my graduation in industrial engineering from Indian Institution of Industrial Engineering (IIIE). As I grew professionally, I soon felt the need to do a proper management course. So I joined the Welingkar Institute for Management. After that I attended the Indian School of Business (ISB), Hyderabad, to master financial management (under the institute’s ‘Executive education’ programme). For me, I don’t think learning has ever stopped. My wife Kalpana is a chemical engineering graduate from LD College of Engineering, Ahmedabad. After completing her education, she worked as a lecturer in a government engineering college in Gujarat. Later, post marriage and after nine years of teaching, she became a housewife to take care of our children. I have a son and a daughter. My son Harsh is 14 years old and will be taking the CBSE exams this year. He is a computer geek and, like his father and mother, is inclined towards engineering. My daughter Riya is 11 years old and is in the 7th standard. My contribution to their education is minimal due to the profession I am in. The entire credit goes to my wife who takes utmost care of our children. I am extremely grateful and proud to have a partner like Kalpana who has been so supportive and has been taking care of all our needs. My personal experience has taught me that every difficult problem has the simplest of solutions, something that we generally don’t look for when problems arrive. I believe that if the root of the problem is understood, 90 per cent of the solution is already achieved. All that remains is the implementation. There is nothing better than spending your leisure time with family. I prefer going out and enjoying the time I get with them. Mostly, when I am not working, we do something together as a family. As far as hobbies are concerned, I don’t have anything special. But if you ask me how I like to spend my leisure time, then I would say I like reading. I have been reading fiction for quite some time but of late, no regular reading is happening due to a time crunch. History shows that entrepreneurs or businesses that were not patient enough to give sufficient time for their businesses to go through the natural cycle did not succeed. In 1991, I started my career at a heavy machine tools manufacturing company named Thakoor Machine Tools in Andheri, Mumbai as a trainee production supervisor. Apart from the college workshop, this was the first time I got exposed to a real mechanical workshop. Within six months, I got another opportunity and joined as a production supervisor at Advance Technology Devices, a Tandon Group company that manufactured electromechanical parts for hard disk drives. Due to my inclination towards design engineering, I did not remain in the production department for long and after couple of years moved to the design department. I did my first mechanical design for a winding clip in 1994, which was a very simple and successful design. Millions of pieces of this design were manufactured and used till the product reached the end of its life. Today, I show it to the new designers and tell them that this is how designs ought to be – so that one can take pride in them even after many years. After that year, I never looked back. In 1996, the Tandon group decided to start a greenfield manufacturing facility in Sri Lanka, and I was chosen to be part of the core team responsible for setting up the manufacturing processes and production lines. My experience of working in Sri Lanka is unforgettable. I was young, a 24-year-old manager who was sent to Sri Lanka to hire new engineers, train them and set up production lines. At that age, it seemed a Herculean task. The situation in Sri Lanka in 1996 was not great, since there were frequent gun battles and bombings due to the war between the militants and the army. Most of the universities had been closed for some years before I went to Sri Lanka, and the engineers we hired had lost crucial years of education due to this. It was a really tough time for me also, because the local engineers seemed reluctant to adjust with a young manager from India. I decided to become more like them. I started having breakfast and lunch with them as well as celebrating local festivals with them. This earned me their trust and confidence, helping me to become a successful manager. The year 1998 was a turning point for the Sri Lankan factory. Chuck Peddle, a technocrat who designed the first microprocessor and is also called the father of computers, with many patents to his name, collaborated with the Tandons and came to Sri Lanka to start the manufacture of his patented design of memory modules. Together, we successfully began manufacturing these modules. Lots of other engineers from the Indian factory also helped at that time to set up the test stations. By setting up this plant, we became the first to bring SMT technology to Sri Lanka. I returned to India on account of family obligations in 2000 and joined Tancom Electronics, another division of the Tandon group, set up at SEEPZ in Mumbai. Till 2003, I worked on the SMT lines and became the head of project management in 2004, handling all the group’s projects in India. In 2006, the Tandons sold the Indian company to Jabil Circuits and, thereafter, we all became part of Jabil. In 2007, Jabil Circuits decided to transfer manufacturing from Mumbai to Pune, for certain strategic reasons. I was asked to work on the closure of both businesses, and those days were the saddest of my professional career till now. The businesses were transferred to Pune. Senior ex-employees of the Tandon group from the US brought in investments from Germany and bought an ODM company called Celetronix Power from Jabil Circuits. I didn’t have much of a choice and hence took up the challenge to work with the firm as the director, the VP and as part of the core management team. But as soon as we separated from Jabil, all the customers and suppliers left us. That was the most challenging situation in my life— managing the business with very few customers in hand, with no support from suppliers as well as a weak cash flow. At EOS (previously Celetronix Power), from 2007 to 2017, I went through a period of much turbulence as the company faced many ownership changes. By expanding sales in India, we eliminated our dependence on exports to US and Europe. We focused heavily on medical and healthcare related products. It was domestic demand that drove us to start the second manufacturing unit in Mumbai. Today, I am the COO and director of EOS Power India Private Limited and also the founder of Ei Ems India Private Limited (a JV manufacturing company). The 25-year journey from a trainee supervisor to the founding director of one of India’s well known electronics manufacturing companies has indeed been a very memorable one. I follow only a few mantras in order to coach my team. I fervently believe in the ‘share and care’ theory. For me, sharing knowledge with your peers allows you to go up the ladder and do things better. Caring for and respecting everyone and everything you do translates to the most fruitful result. I teach my team to look around for solutions when any problems arise, for the solutions are right in front of us. My core management team has been with me since the last 10+ years. I always focus on hiring people who are better than me and stronger in the areas that I am weak in. That allows me to delegate and focus on core areas of the organisation. My belief is that every achievement does not require extraordinary ability; achievement comes from ordinary abilities applied with extraordinary persistence. All of my education happened in a difficult manner, and this, apart from teaching me academics, taught me the practical aspects of life too. After I completed my matriculation in 1988, I had to stay away from my home and family till my marriage in 2000. I lived in hostels, studying in college as well as working. This rigorous effort made me pretty independent at a very early stage of my life and taught me many practical things. Apart from the job I got for my sustenance, I achieved four additional qualifications in the areas that I wanted to master and this, undoubtedly, helped me to grow in my career and reach the position I am in today. Engineering was my passion and, therefore, I kept on accepting all the opportunities that came my way. In office, every day is a new one for me. I kept on taking all the opportunities positively instead of concentrating on the negative side of things. I like a disciplined and stress-free work environment, and I can’t remember when I last approved a resignation from any of my employees. The average time period an employee works with EOS is 12 years. In my company, everyone is allowed to learn, teach and contribute to the growth of the company and according to me, that is an ideal, healthy, work environment. My real contribution to the industry started after 2007, when I become responsible and accountable for around 400 employees (a figure that has risen to 500+ today) at EOS Power and an additional 40+ people at Ei Ems India Pvt Ltd. In 2010, I became part of ELCINA (Electronics Industries Association of India) and contributed in every possible way to the electronics manufacturing industry. And I believe I have a lot more to contribute to the electronics industry in the coming years. During the early days of my professional career, I was more focused on designs and processes. I made numerous successful mechanical designs and process improvements, which helped to improve the productivity and product quality. But my real professional achievements started after 1996 when I played a key role in setting up a greenfield manufacturing plant in Sri Lanka. In 2007, I took a major decision – choosing to stay on with a smaller company, i.e., Celetronix Power as a core founding team member, instead of moving to Jabil Circuits (one of the largest global EMS firms). I took up the challenge of taking over the sick ODM company which was plagued with losing customers, suppliers and employees, apart from having a weak cash flow and turned it into a healthy sustainable organisation. I must thank my entire workforce, my management team in India, as well as my sales team in USA and Europe for believing in my capabilities. We achieved this together and it`s everyone’s success story at EOS. Personally, I don’t know what I might have done if I had not been lucky enough to get a life partner like Kalpana who has been part of all my decisions and has always supported me, no matter what. I must admit that it is only after my marriage that I learnt the true value of money. On the professional front, when I moved from India to Sri Lanka at the age of 24, nearly everyone opposed this decision of mine because of the unsafe conditions prevalent in that country at that time. I consider it to be one of the most important turning points of my life. Later, in the year 2007, I was asked to close the business I had been running for a long time. Then in 2009-2010, an acute economic crisis forced me to reduce the workforce. I still can’t imagine how I dealt with the situation and overcame it. One valuable lesson learnt from the incident was the importance of turning oneself into an entrepreneur and creating a business environment that can be sustainable in the long run. Both the decisions were high risk and could have been disastrous for me if not tackled in a proper manner. 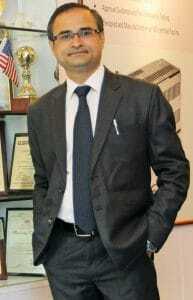 There are quite a few people I have been inspired by like J.J. Shrikhande (GM and MD at Tandon), who was my first idol. I liked his way of analysing various problems and then determining the possible solutions. Then there is Vasu (the director of corporate services, also at Tandon) from whom I have learnt numerous administrative tricks. Patney (MD of Tandon’s Sri Lankan plant) taught me patience. Whatever problem arose, Patney handled it remarkably. I believe a lot of my managerial skills and style are an adaptation of the skills of these three gentlemen. Sanjeev Verma and Kris Batta from Celetronix, and Kesavan from Jabil Circuits gave me the platform for growth and I cannot forget the help they extended to me. All of them gave me the stepping stones for my success. I prefer people with an open mind since it is easy to approach them. A person has to quickly adapt to changes and must have a team building attitude. I am a perfectionist when it comes to my professional life. By that I mean, when I decide something needs to happen for the betterment of everyone, I tend to get very aggressive and sometimes push everyone towards achieving the goals. Occasionally, this attitude of mine is not appreciated by all. This is one habit I am working on improving slowly. Patience and persistence is the ultimate key to a successful business. Any new business venture is like a newborn baby. Very often it will get sick; so, if you take care of it for the first three years, it will be healthy when it grows up. Similarly, with every new startup, in the first few months and years there can be many problems like fund issues, labour problems, as well as management and legal issues. But once you give at least three years to any new business, it will grow for sure. History shows that the entrepreneurs who have not been patient enough to give sufficient time for the business to go through this natural cycle did not succeed. A lot of things are yet to be achieved. 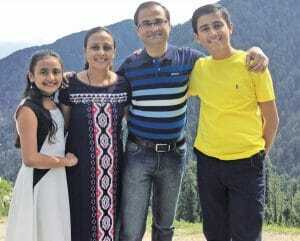 On the personal front, initially, my prime focus is to help my son get admission into one of the IITs so that he can have a proper education and a good career later. My daughter is yet to decide what she wants to do with her life. At the professional level, I aim to reach greater heights in the coming days. I expect that my company will grow in the years ahead and will be able to provide and sustain jobs for at least 800+ employees.